1) Mock SEC Hearings -- Numerous individuals are called to provide information in various proceedings, formal or informal, before the SEC. Understandably, this elicits a significant amount of anxiety. While experienced attorneys can properly prepare their clients on the procedure, what to expect, talking points and issues, and what to avoid, additional skills in the psychology of being in such a position and handling it are immeasurably helpful. Toward that end, we have been called upon in many instances – both nationally and internationally – to help such individuals identify their sources of distress and coping skills to manage them so they can perform better once interviewed by the SEC and in other settings. See related articles on securities and banking litigation. 2) Mock Regulatory Hearings – full-blown mock commission hearings, including representatives functioning for all participants, can permit our clients to learn first-hand what works, what doesn’t, what is missing, and ways to remedy the issues before the actual hearings, including testing of graphics, key witnesses, and positions. See also articles on experts and witness preparation. 3) Class Certification Mock Trials – whether for plaintiffs or the defense, such tests have provided valuable information, e.g., identifying facts that undermine the uniformity of the class, which plaintiff would be best received and most compelling as lead plaintiff, which case would be best as the “bellwether” case, and other issues that can guide counsel as they approach the litigation. See also articles related to class action cases. 4) Pre-discovery mock trials – the testing of possible lines of attack and defense before discovery can significantly guide the direction of discovery and the case outcome, including the formation of questions and answers for depositions, the selection of experts, the subject matter for which jurors may seek expert testimony, theories that are salient, issues that are confusing, and the like. As a result, counsel can address these in discovery while there is still time to explore the facts, rather than waiting till discovery is closed. Considering that most cases are resolved before trial, the better one can position a client during discovery, the better most clients will do. See articles on mind mapping and trial prep schedules. 5) Mock Mediations/Mock Arbitrations – since many cases are resolved by mediation or arbitration, a client needs to understand what those forms of dispute resolution look like. For example, a lawyer may be accustomed to abiding by the rules of evidence, which is proper in a trial, but often not well suited to a mediation, which is more informal. A mediator or arbitrator will generally ask different types of questions than a lawyer is accustomed to seeing in a trial and the lawyer needs to be prepared. See articles related to mediation and arbitration. 6) Mock advocacy and lobbying presentations – Sometimes, a case needs to be “won” before a member of Congress or in a quasi-judicial setting, such as convincing a member of the FTC to sign on to a complaint against another company. These informal proceedings are an excellent opportunity for a mock, with someone familiar with the case playing the role of the decision-maker and keeping the advocate on his or her toes. See articles related to advocacy, public opinion and lobbying. 7) E-discovery disputes – These can be extremely technical and complicated because of the nature of electronic evidence, and sometimes the judge needs considerable explanation about how documents were created and stored, for example. A mock presentation can help ensure that the advocate is fully familiar with the technical aspects and can explain them to a judge in a convincing way. See articles related to E-Discovery. 8) Markman hearings – These are crucial events in most patent infringement cases. A patent attorney should not participate in a claim construction hearing without extensive preparation, which can include a mock presentation about the technology involved. Often, the technology is extremely complex, and the lawyer can use the mock to figure out the best way to present it. See articles related to Markman hearings and mock mock Markmans. 9) Pre-indictment meetings – Very often, prosecutors will hold meetings with attorneys before deciding whether or not to seek an indictment. These informal meetings in prosecutors’ offices do not use rules of evidence. They are in many cases the most crucial point of any white-collar criminal matter, and a mock presentation can be extraordinarily helpful. See tactics we recommend in criminal cases. 10) Mock Negotiations – Many cases are settled, of course, at the negotiating table. Although a good many attorneys have skills in negotiating and arriving at deals, there are still many new and interesting negotiation techniques that can be taught in a mock context. Thinking about how to negotiate against tough points is not the same as doing it, thinking on one’s feet, and actually responding to challenges. Hence, mock negotiations against a well-informed mock opponent can put these skills to the test and still leave time for counsel to strengthen areas of weakness or in need of additional preparation. 11) Bench Trials - Most people find it surprising that we conduct as many mock bench trial exercises as we do. After all, it's usually called jury consulting, right? Well, often the stakes are even higher in bench trials, and our work shown us that a key challenge for counsel is determining the appropriate level of information to present to avoid going over the judge’s head or patronizing the judge by over-simplification. 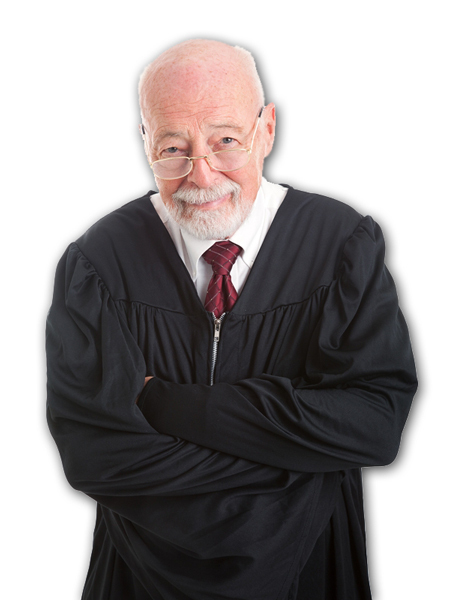 By presenting before retired judges who have similar backgrounds to the actual judge, or one who knows him or her well, such feedback can spare counsel adverse reactions at trial. This area of trial consulting is certainly on the rise, and our use of judge studies and retired federal judges on mock panels has been well-received whether we are prepping for the ITC, the Federal Circuit, Markman hearings or a traditional bench trial. What mock jurors always say!